The only scissors you will ever need! 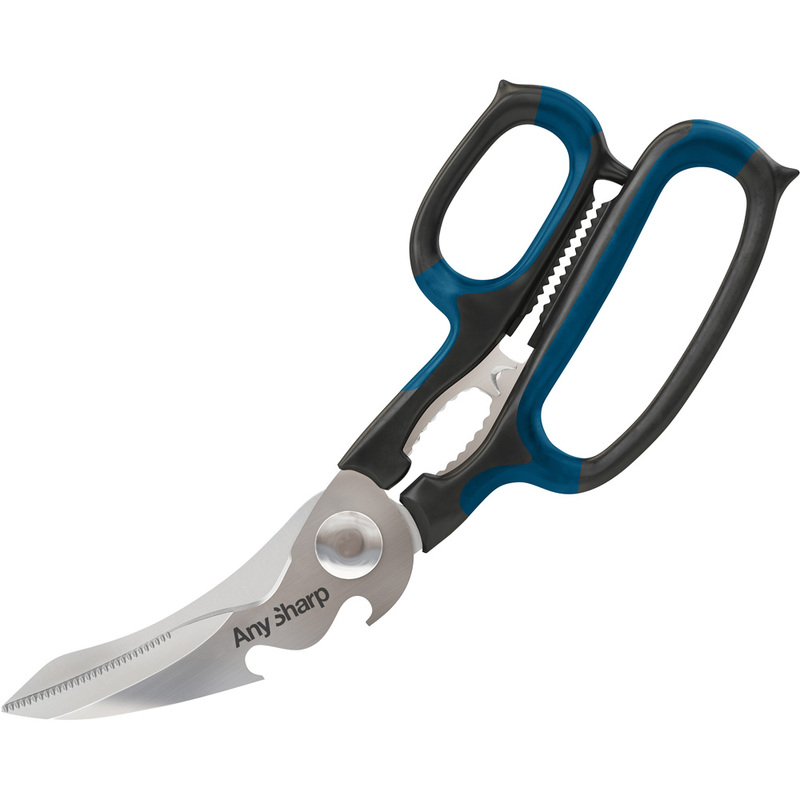 Scissors with handy multi-tools and hardened steel blades that cut tough materials with ease. 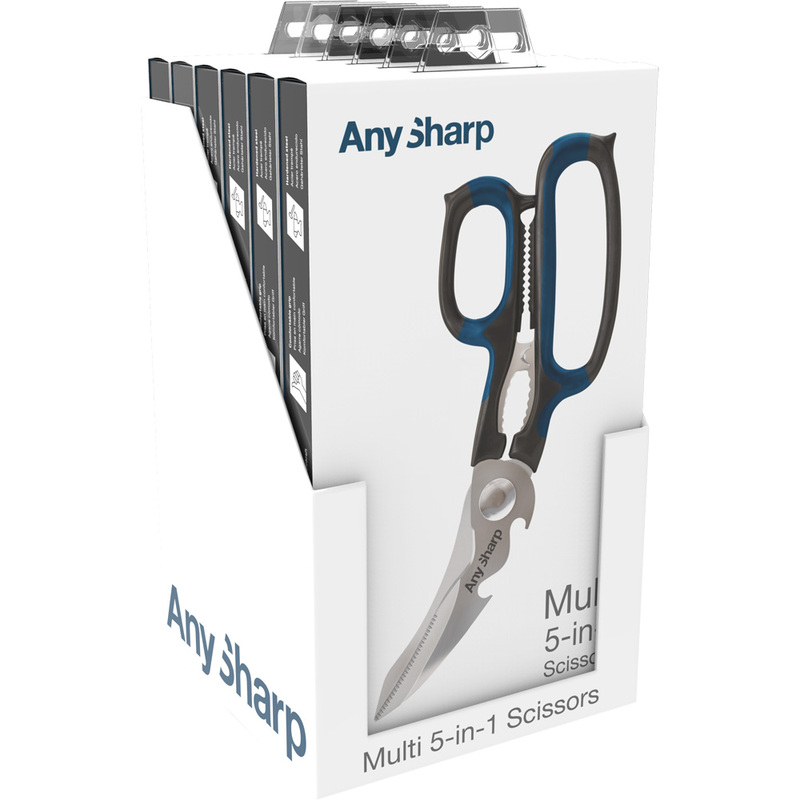 AnySharp 5-in-1 Multi Purpose Scissors are for general purpose use in the home, kitchen, office or workshop. 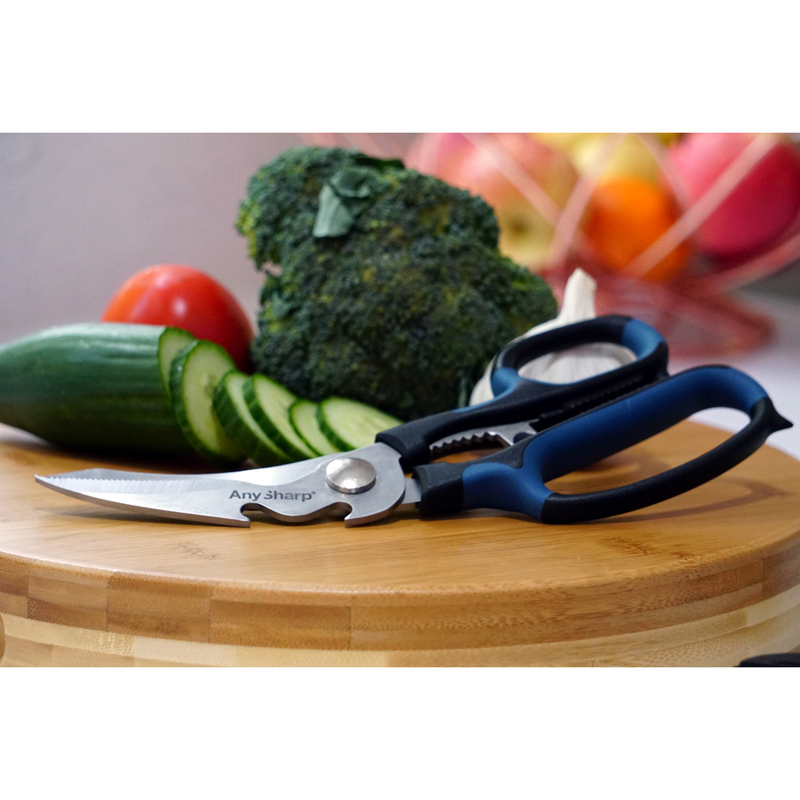 Incredibly versatile, ergonomic, safe and durable, they feature tough hardened steel blades with a special "cut anything" blade design and adjustable tension. 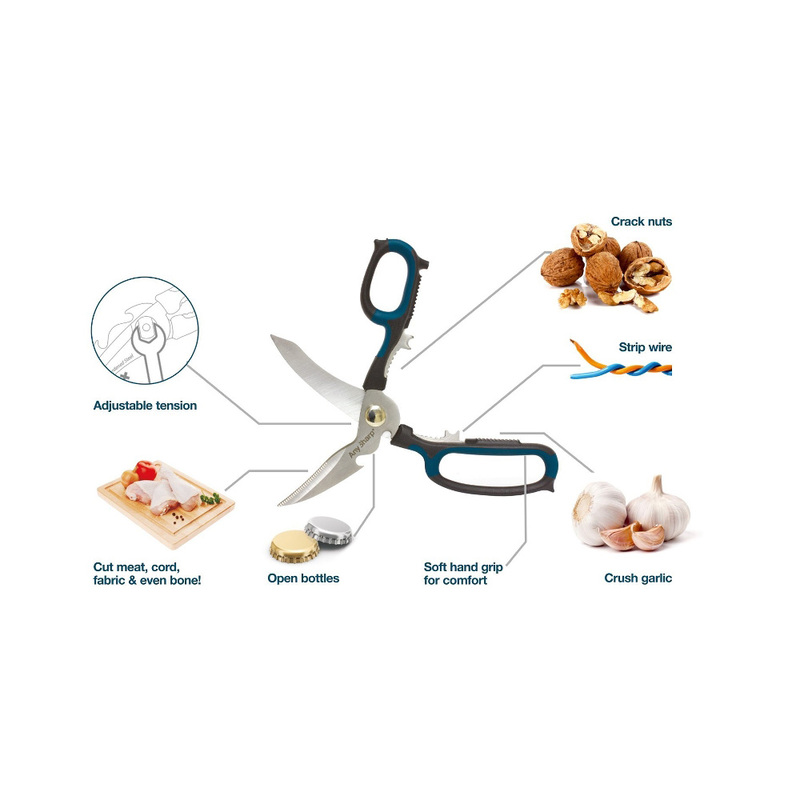 They are comfortable to use, dishwahser safe and have useful everyday tools built in.